I have done this marathon a couple times before... but this is the first time I am attempting it since going back to work. But since I give myself an entire year that shouldn't be a concern with this one. In the past I did 1 movie that was released for every year of my life. So will be watching 1 film for every year from 1969 through out to 2015 (When I get one). But this year I am upping it to make it even more challenging. This year not only am I going to watch a movie for each year... but also watch a pilot episode for a TV Series that premieres for each year. Upping it from 46 shows to 92! 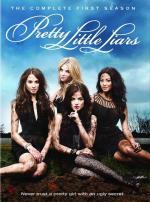 One year after Alison's disappearance, Aria receives a disturbing text signed "A" – and the mystery begins. I have been curios about this show for some time as I have always heard good things. And I must say the pilot episode does do a good job pulling you in. Another plus for this series is that it has two actresses that I like/familiar with. First there is Holly Marie Combs (Charmed)... who I have adored for a long time now. Then there is Lucy Hale who I discovered when she played the little sister in the Bionic Woman reboot shortly before this series. Holly Marie Combs and Lucy Hale also just happen to play mother and daughter in this series. As I said, this is a strong story that pulls you in nicely. So I am looking forward to continuing this series. I just fear that it can't keep the momentum that it started with, though I hear it does. Not sure how many seasons is out right now... but I have the first 3 seasons on DVD right now. This is one from Danea Cassandra's collection. 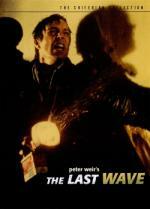 One that is definitely different then my normal type of film to watch. I found it to be very interesting... but at the same time a little too slow for my taste. I can see myself watching this one again... though it wouldn't be a frequent watch for me. From The Hangover director Todd Phillips, Due Date throws two unlikely companions together on a road trip that turns out to be as life-changing as it is outrageous. Expectant first-time father Peter Highman (Robert Downey Jr.) looks forward to his new child's due date five days away. 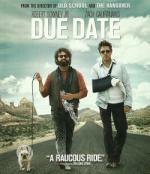 As Peter hurries to catch a flight home from Atlanta to be at his wife's side for the birth, his best intentions go completely awry when an encounter with aspiring actor Ethan Tremblay (Zach Galifianakis) forces Peter to hitch a ride with Ethan on a cross-country trip that will ultimately destroy several cars, many friendships and Peter's last nerve. This is one I wasn't sure what I would think of going by the trailer. I found a copy used cheap so figured I would give it a chance. Turned out I enjoyed it more then I thought I would. Definitely had it's funny moments. Usually Robert Downey, Jr. is hit and miss for me... but here lately he has been more hit then miss. And I seem to always enjoy Zach Galifanakis. This film is worth the time put in to watch it. 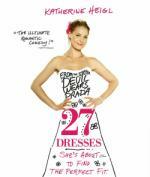 Katherine Heigl stars as Jane, a selfless woman who's been a happy, helpful bridesmaid 27 times. But her own wedding seems to be nowhere in sight, until younger sister Tess (Malin Akerman) captures the heart of Jane's boss (Edward Burns) — with whom she's secretly in love — inspiring Jane to change her "always a bridesmaid" destiny. I liked this one quite a bit. Of course that could have something to do with the fact that I am a fan of Katherine Heigl. I have enjoyed her work since she was in the TV Series Roswell. Then I also thought she was great in the series Grey's Anatomy. Yes... this movie is very predictable... but then what Romantic Comedy isn't? In my eyes romantic comedies isn't about the ending... but the journey leading up to it. And this one I found to be a lot of fun. I have read other reviews for this movie... and for the most part they seem to agree that this one is nothing special... bordering on boring. Well, what can I say? This isn't the first time I seemed to be the only one to enjoy something a lot. But that does tell me to be cautious in recommending it. So I would have to tell people to try catching it on cable or something. Don't buy this movie on my review alone. But I do see myself upgrading it to widescreen if I get a chance. 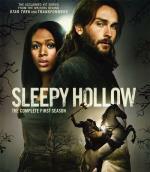 Ichabod Crane awakens in modern Sleepy Hollow and realizes that evil has came with him. While on a call Sheriff Corbin is killed by the Headless Horseman which is witnessed by Lt. Abbie Mills. With her own childhood supernatural experiences, Abbie forms an unlikely bond with Ichabod. The two of them set out to stop evil and figure out mysteries dating back to the 1700s. Captain Irving at first is reluctant to believe Ichabod's tales but soon after Ichabod's former wife Katrina gives clues about coming evil, they all start to believe that Sleepy Hollow is anything but sleepy. I know I have seen this pilot before... but I must not have given it the attention it deserved at the time as I didn't remember most of what happened. I enjoyed this one very much. I was originally concerned when I found out it was going to take place in modern time... but I was pleasantly surprised at how well it turned out. The storyline is good and the characters is likable. Turns out I enjoyed this one so much I couldn't stop at just the pilot episode... I ended up watching the entire first disc (5 episodes). 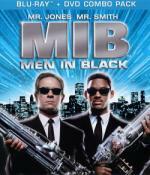 Men in Black follows the exploits of Agents K (Jones) and J (Smith), members of a top-secret organization established to monitor alien activity on Earth. The two MiB find themselves in the middle of a deadly plot by an intergalactic terrorist (Vincent D'Onofrio) who has arrived on Earth to assassinate two ambassadors from opposing galaxies. K and J face a simple imperative: track down the interloper or the Earth will be destroyed. It's all in a day's work for the Men in Black. I jut recently upgraded to the blu-ray/dvd combo pack. I haven't had the chance to check out the extras yet... but looks like a great set. The movie looked and sound great. Young DJ always knew there was something strange about the old Nebbercracker house across the street. When the house becomes a living, breathing monster, DJ enlists his pals Chowder and Jenny to learn the secret that keeps the house alive. Suddenly, they find themselves in a hair-raising battle with an unstoppable entity and must save the neighborhood from total devastation. 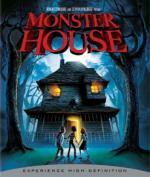 Robert Zemeckis (The Polar Express, Back To The Future) and Steven Spielberg (ET, Jurassic Park, Indiana Jones Trilogy) present Monster House - the movie The New York Times A.O. Scott hails "... smartly written and a lot of fun." This is a pretty cute animated movie... though I have seen better. The film went in an obvious direction and I had a hard time caring about the characters. But in spite of all of that... It is definitely worth the time put in to watch it. The story takes place on Halloween so I can see myself watching this one for my October marathon each year. 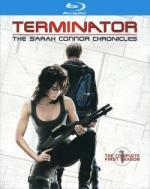 No one is ever safe, least of all Sarah Connor and her son John. Tired of running from the machines, Sarah decides to stand and fight. I really enjoyed revisiting this series. I actually forgot how much I enjoyed this show when it was on. I went into it wanting to just watch the pilot for this thread... ended up watching the entire first disc. This show is more then worth the time put in to watch it... if you never seen this one I highly recommend it. Twenty years after it swept Australia into the international film spotlight, Peter Weir's stunning 1975 masterpiece remains as ineffable as the unanswerable mystery at its core. A Valentine's Day picnic at an ancient volcanic outcropping turns to disaster for the residents of Mrs. Appleyard's school when a few young girls inexplicably vanish on Hanging Rock. A lyrical, meditative film charged with suppressed longings, Picnic at Hanging Rock is at long last available in a pristine widescreen director's cut with a newly-minted Dolby® Digital 5.1 channel soundtrack. I watched this one a few days ago, but just now getting to post about it. While not a bad show... this one was a little on the slow side for my taste, The imagery was outstanding in this one... and the storyline keeps your interest. I didn't even mind that they didn't "solve" the mystery.... I mean not all mysteries get solved. I just really had a bit of a problem with how slow it was. I was doing all I could not to dose off. From filmmaker Sam Raimi (Spider-Man™, Army of Darkness) and acclaimed Japanese director Takashi Shimizu comes a terrifying tale of horror in the tradition of The Ring and 28 Days Later. Sarah Michelle Gellar (TV's "Buffy The Vampire Slayer") stars as an American nurse who has come to work in Tokyo. Following a series of horrifying and mysterious deaths, she encounters the vengeful supernatural spirit that possesses its victims, claims their souls, then passes its curse to another person in a spreading chain of horror. Now she must find a way to break this supernatural spell or become the next victim of an ancient evil that never dies, but forever lives to kill. While this is a good ghost story, I have seen better. Don't get me wrong... it is well worth watching. It is always nice to see familiar faces from TV Series in movies. And this one has 3 people I knew from TV series. Of course Sarah Michelle Gellar (Buffy the Vampire Slayer)... but there is also Jason Behr from Roswell and KaDee Strickland from Private Practice. I do like the way they did the ghosts in this film. It is not often I give a film a perfect 5 star rating... but I feel this one deserves it. It is just truly amazing! Even more so considering it is based on a true story. I was drawn in from the very beginning... and it kept my complete attention till the very end. A real feel good movie. One I couldn't recommend high enough. An excellent story that is wonderfully done. It is one of those films where the moment I finish it I feel like I could watch that one again! If that is not a sign of a great movie I don't know what is. Journey into the fantastical world of Labyrinth, starring David Bowie and a cast of incredible creatures created by Jim Henson. 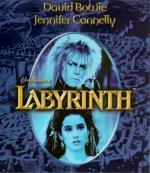 Frustrated with babysitting on yet another weekend night, Sarah (Jennifer Connelly), a teenager with an active imagination, summons the Goblins from her favorite book, "Labyrinth", to take her baby stepbrother away. When little Toby actually disappears, Sarah must follow him into the world of the fairy tale to rescue him from the wicked Goblin King (Bowie)! Guarding his castle is the labyrinth itself, a twisted maze of deception, populated with outrageous characters and unknown dangers. To get through it in time to save Toby, Sarah will have to outwit the King by befriending the very Goblins who protect him, in hopes that their loyalty isn't just another illusion in a place where nothing is as it seems! I watched this one for the first time the other day. I found it to be a fun film... it definitely kept my interest through-out. 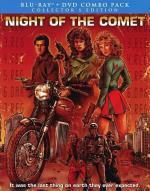 I may get a little slack on this one... but I did not care much for David Bowie in this film. He just seemed so wooden and forced. Maybe they were going for something like that for the character but in my personal opinion it took away from the film some. At least it did for me. Othert then that it is a good movie and worth the time put in to watch it. 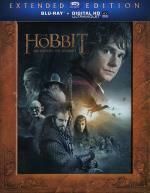 The first in a trilogy of films based on the enduring masterpiece The Hobbit by J.R.R. Tolkien, The Hobbit: An Unexpected Journey follows title character Bilbo Baggins, who - along with the Wizard Gandalf and 13 Dwarves, led by Thorin Oakenshield - is swept into an epic quest to reclaim the lost Dwarf Kingdom of Erebor from the fearsome Dragon Smaug. Their journey will take them into the Wild, through treacherous lands inhabited by Goblins, Orcs and deadly Wargs, as well as a mysterious and sinister figure known only as the Necromancer. Along the path, the unassuming Bilbo Baggins not only discovers depths of ingenuity and courage that surprise even himself, he also gains possession of a "precious" ring tied to the fate of all Middle-Earth in ways he cannot begin to imagine. What a great start to an amazing story. The storyline draws you in so much that you are glued to the set. So much so that you don't even realize you been sitting there for three hours watching a movie. And even after a full three hours you are left wanting more. This story really does take you on a great adventure. And that isn't even touching on the gorgeous visuals this film has to offer. 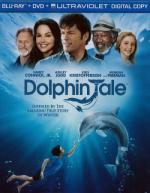 An epic story... a must see film!